We found 1 episode of Monkey Tail Podcast with the tag “låt den rätte komma in”. 111: Hang on a second, we're touching tips! 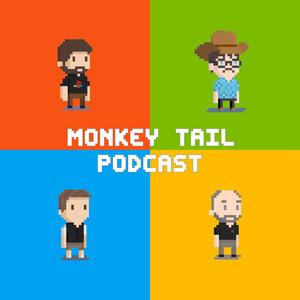 Join Adam, Bruno and Marius on another edition of the Monkey Tail Podcast. On this episode we talk about the games we've playing the past couple of weeks, and they are; Resident Evil 2, Vane, Shenmue I & II, Bulletstorm: Full Clip Edition and much more. We also talk about the year in gaming that was the year 1987.